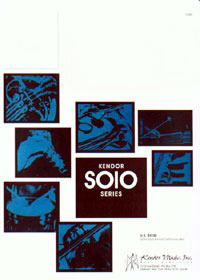 Intermediate players are provided with a musically rewarding experience throughout these ten solos. The hand-to-hand style will establish skills players will use their entire playing careers, and the solos are suitable for concert, recital, or contest use. More advanced players can have fun with these solos also by using them as sight reading exercises. Duration 2:00.